St. Johns County residents have convinced the County Commission to revise a proposed home rule charter. Undaunted by indifference to and criticism of their ideas, persistent residents came back again Tuesday to try to sway the decision makers. New speakers showed up with new ideas. The collective comments gave the County Commission pause. It wisely postponed any action on a proposed charter (referendum) ordinance for at least another month. The power of the people prevailed. The commission has to adopt a charter ordinance in order to get a charter proposal on the ballot. We suggest the commission postpone that action at least until January so that suggested revisions to the current proposal or, perhaps a new charter proposal, can be aired publicly countywide and in another series of County Commission hearings. The commission started early enough so that there is time for more discussion and adequate voter education if the question ends up on the November 2008 ballot. We are not taking a position yet on charter government for St. Johns County. But we are applauding people for coming forward with more suggestions and not giving up, and the County Commission for listening to the people. Current County Commissioners have said that they are better listeners than past commissioners but in some instances, they have not shown that to be the case. Tuesday they listened. It's time now for the people at large to rally round the idea that a charter proposal belongs to everyone, not just the five County Commissioners or a single grass-roots group. A big issue is whether County Commission elections should be non-partisan. We've always said that local issues are non-partisan, such as roads and fire stations. So, given the commission's interest in suggested changes, we encourage residents to call, write and e-mail the commissioners with their charter suggestions. Copy your suggestions to us and we'll publish as many as possible. It's time for a broader conversation on charter government to begin. See my last Sunday's St. Augustine Record guest column and draft proposals below. Editor: I support troop withdrawal because they need to bring families back together.My dad was in the war in Iraq and I know how it felt to not have someone there to make a whole family. Also, if they brought people back it would save the government a lot of money. They would save people's lives and wouldn't have to tear families apart. If they don't want to bring all the people home now, then they could slowly bring people home. 1. Put your kids on campaign and public and corporate lobbying payrolls. 2. Vote against health care for other peoples' kids, refusing to override veto. 3. Yammer about being "pro-family" when your real agenda is serving multinational corporations, including those who want to drill for oil off Florida's coasts, selling airplanes for Boeing in China and traveling to Tibet on our dime. John Mica, we see right through you. PBS&J's leaders understand that to be the "consultant of choice," you must also be the "employer of choice." We provide an invigorating professional environment that seeks out talented employees and actively works to help them develop their technical and leadership skills in a way that satisfies both their personal goals and the long-term objectives of the firm. PBS&J was founded as a four-person consulting engineering firm in Miami, Florida, in 1960. Today, we are an exciting and diverse company with more than 2,700 employees and 60 offices doing business throughout the world. Our services encompass civil, transportation, and environmental engineering disciplines, as well as construction management, surveying, planning, program management, ecological sciences, architecture, landscape architecture, and information solutions. PBS&J is continuing to grow, expanding across the Sunbelt and into other areas of the country to best serve our clients' needs. We will continue to look for ways to offer greater value to our clients, including specialized services not offered by our competitors. And we seeking new employees who bring fresh ideas as well as proven experience to their positions and who want to have an impact on the future direction and growth of their firm. Do you have a desire to succeed in a proactive, employee-oriented environment? PBS&J has career opportunities for transportation, environmental, construction, structural, and civil engineers; aviation, ITS, and GIS specialists; architects; geologists; hydrologists; water resources; ecologists; solid/hazardous waste specialists; construction inspectors and estimators; CADD designers; and land surveyors. In a recent article in CE News, the editor wrote, " PBS&J is noteworthy for a number of reasons, including its excellent reputation, multiservice capability, advanced technology, and commitment to career development." We are known for our investment in our people through our comprehensive "pre-tax" approach to employee insurance benefits; our recognition and rewards programs; our comprehensive and intensive training programs through PBS&J University; the PBSJ Employee Profit Sharing and Stock Ownership Plan, and other benefits. As an employee-owned company, what we earn stays within the firm in the form of employee programs and benefits, improved company infrastructure, new investments for the future, and a return to our employees. Forty percent of our new hires are through employee referrals. Our people stay 5, 10, 15, 20 years, and longer -- we must be doing something right! For more information, please browse our website (www/pbsj.com) or call (800) 597-7275 for our Human Resources Department. Thirteen votes short. Thirteen votes away from ensuring health coverage for 10 million low-income children across the United States. Thirteen representatives who willfully bought into the misleading, distortion-filled campaign by the White House, and at least two local representatives who almost certainly know better. U.S. Reps. John Mica and Tom Feeney have no excuse for their vote Thursday. They've seen the State Children's Health Insurance Program in action, here in Volusia and Flagler counties. Families in their districts were among the first in the nation to benefit from the unique private-public partnership that allows parents to purchase coverage for their children through Healthy Kids, Florida's SCHIP-funded program. They know first-hand that Healthy Kids is not, as Bush mockingly titled it, "government health care." In fact, Healthy Kids participants in Volusia County use the same network (Florida Health Care Plans) chosen by many local employers to provide insurance to their workers. Mica and Feeney know that. They should also know that the program has widespread support. In a recent Washington Post/ABC News poll of more than 1,000 adults, 72 percent said they favored extending the children's health insurance program. Yet Mica and Feeney went along with the Republican party line vote to uphold the president's veto of SCHIP coverage -- even though 44 other Republican House members saw through the deception. Central Floridians deserve the truth. Bush made much of the fact that this program would cover families earning "up to" $82,000 a year (for a family of four). That's misleading. SCHIP was created to provide coverage for children in families earning too much for Medicaid, but not enough to afford their own insurance. Federal block grants are based on the number of children in a state that are between 100 percent and 200 percent of the federal poverty level -- about $41,200 for a family of four. The program does allow states to spend their own money to cover families earning higher levels, but they don't get extra federal dollars to do so. All the Healthy Kids participants in Florida, and 70 percent of SCHIP participants nationwide, live in households with income below the 200 percent threshold. The president also blustered about the program encouraging parents to take their children out of private insurance to enroll in government-subsidized coverage. He conveniently failed to mention that many of the SCHIP-funded programs (like the local Healthy Kids program) use the private sector. Poll ratings suggest that Americans aren't so easily swayed by Bush's rhetoric these days. The veto override failure should be no more than a temporary setback. WHAT HAPPENS NEXT: There are early signs that Feeney and Mica, among others, recognize the folly of their position. They're already talking up a spurious "compromise" that would break up successful, highly praised programs like Healthy Kids and divert the money into tax credits for parents to buy individual plans for their children. Talk about welfare for the rich -- the tax-credit proposal would divert millions of dollars now going to pay for inoculations, checkups and other medical costs into the pockets of insurance companies. House members should stand firm on the essential principles of SCHIP. Forcing families to seek coverage on their own -- in a market that's already let them down -- makes no sense. Their plan ignores the benefit of networks that give families the benefit of group-policy discounts. Instead, the House and Senate should perfect the SCHIP program. Federal authorities estimate that nearly 9 million children are eligible for the program but don't have coverage. The original bill would have added 6 million; in the next round, Congress should include enough funding to cover every eligible child. This is no time to back down on children's health -- the best response to the veto is a stronger bill that puts lives over politics. For Michael Emmons, the road from well-paid I.T. worker to anti-outsourcing activist began on a sweltering June afternoon in 2002 when his Lake Mary employer, Siemens ICN, summoned the entire I.T. department to a meeting. In less than 30 minutes, nearly 20 highly skilled, white-collar employees and contractors were asked to pack their belongings and get out. Many of the workers had been with Siemens for decades. Emmons was a contractor. He'd been working with the company developing software applications for six years. What had the employees done to deserve their pink slips? Absolutely nothing. It was the company that had an epiphany: Flying technically savvy workers into the United States from India would save a lot of money. The foreign replacements were willing to work for a fraction of the salary their American counterparts earned, and since they were contractors, they didn't qualify for benefits. Before they left, the Siemens exiles were given a choice: train their Indian replacements and get severance pay, or walk away and get nothing. Two of the 20 fired chose the latter. Emmons was lucky; he managed to land a job in his field. But he took a hefty pay cut to do it. As a contractor for Siemens, Emmons was netting around $150,000 a year. At his current job as an applications developer for the State District Attorney's office, he makes about $54,000. The pay cut put a strain on his family of four. And because one of his children was born with spina bifida (a debilitating spinal disorder), hospital bills are piling up due to frequent surgeries, each of which requires a $3,000 deductible. According to a study conducted by the University of California, Berkeley titled "The New Wave of Outsourcing," there were between 25,000 and 30,000 new outsourcing-related jobs created in India in July 2003 alone. In the same month, American employers carried out 2,087 mass layoffs, resulting in the loss of 226,435 jobs. Also, the American Electronics Association found that nine out of 10 new information technology job openings were awarded to outsourced foreign workers in 2001. All this during a time when the American job market has been struggling to stand on wobbly legs. But in Emmons' case, it wasn't outsourcing that cost him his job; it was outsourcing's evil twin: insourcing. Outsourcing involves an American office shutting down and the jobs moving overseas  in the case of high-tech workers, often to India or the Philippines. But there are also hundreds of thousands of foreign workers imported into the country each year under the controversial L-1 visa, known as the guest-worker visa. The L-1 allows multinational corporations to import workers into the U.S. on an "intracompany transfer" basis with little monitoring, regulation or restrictions from the Department of Labor. Siemens didn't transfer the workers into the United States themselves. Instead, they contracted with Tata Consultancy Services, a third-party consulting firm based in India, to hire and fly the Indian replacements into the United States. Since Tata was working as a consultant under the Siemens umbrella, few outsiders realized that the Indian replacements were actually employees of Tata, not Siemens. It's a business strategy Siemens embraces. "Companies that want to maintain their position or make it to the top have to adapt to [the globalization of the business world]," the company writes on its website, www.siemens.com. "More and more companies rely on external service providers to run their business processes  which do not form part of their core competencies. ... Systematic outsourcing increases a company's performance, and therefore also its success." According to Tata spokesman Victor Chayet, every one of the company's 7,000 employees operating in the United States and Canada are paid the prevailing local wage; but they also work significantly fewer hours. Chayet says replacement workers are more efficient than Americans. Not to mention that the jobs lost are ones that companies didn't have the manpower or skills to do anyway, Tata president and CEO Subramanian Ramadorai said in a July 15 article published in Computer Business Review Online. "If you actually look at the number of jobs being 'offshored,' it's a very small proportion. In most cases, what we are helping companies with is jobs that they did not have the staff to do without us. They have no choice but to offshore it because they do not have all of the skills at home." Emmons disagrees. "There is absolutely no shortage of skill in America. My job still exists, but someone else is sitting at my desk doing it for less money. And I had to train him to do it. How can they tell me that they have a superior skill set when we're the ones training them?" Emmons adds, "These are corporate lies regarding worker shortages designed to manipulate the supply of labor. If you can increase the supply, wages are going to get pushed down." George McClure, a member of the Career and Workforce Policy Committee for the Institute for Electrical and Electronics Engineers (IEEE) says, "Outsourcing and insourcing has been a major concern of IEEE-USA, the U.S. Department of Commerce, the Council on Competitiveness and others. The issue is competitiveness. We are training them with our technology and they are taking it back to their countries. If we don't keep our competitive edge, we cannot be on the forefront of the future like we have in the past." There are two types of visas that allow foreign workers into the United States: the L-1 and the H-1B. The L-1 visa originated in the '70s to enable multinational companies to move employees. If the Ford Motor Company wanted to transfer a technician to Detroit from England, for example, they would utilize the L-1 to make it happen. The H-1B originated in the '90s to help American employers who could not find American workers to fill certain jobs. Under the H-1B, employers are not allowed to displace American workers with foreign workers, and they must offer foreigners the prevailing wage. But it's the employers who decide what constitutes the prevailing wage. In 2003, Congress decreased the yearly H-1B visa quota from 195,000 a year to 65,000 a year. The action was not a result of a congressional vote. The Immigration Act of 1990 stated that if Congress did not vote by October of 2003 to keep the number of H-1B visas at 195,000 per year, the quota would automatically fall to 65,000 per year. It's the L-1 visas, however, that are dangerous to American jobs. The L-1 says nothing about whether or not American workers can be displaced, and there is no requirement that companies pay foreign workers the prevailing local wage. Companies like Tata can file blanket petitions to bring as many workers into the United States as they want, as often as they want. "Is my government telling me that if an H-1B visa holder replaces me, it's illegal, but if an L-1 replaces me, it's OK?" asked Patricia Fluno, a former employee of Siemens who brought her argument to the Senate floor in July of 2003. "If this is a loophole, it needs to be stopped." He's also been sparring with his congressman, Rep. John Mica, a fight which led to Emmons' own aborted run for Mica's seat in the House. After Emmons contacted Mica with his concerns about the visas in 2002, Mica wrote back stating, "Please know that this issue is of grave and urgent concern to me and I will continue to press for the most expedient solution." Later, when Emmons learned that Mica received campaign donations from Siemens, he felt betrayed. "I've called this man 'honorable' for far too long. He obviously doesn't give a damn about his constituents, he only cares about transportation and his corporate supporters," Emmons says. Rusty Roberts, Mica's chief of staff, has a different story. "[Emmons' impatience] stems from the fact that the law wasn't passed quickly enough for him," he says. "I suppose in a dictatorship you can get immediate action. In a democracy, the process is much slower." Adds Roberts, "Mica happened to be running for re-election at the time, and one of his big platforms is transportation. Siemens build trains. Furthermore, they are the largest manufacturer in Mica's district." After some heated correspondence, Mica eventually cut communication with Emmons. He assured Emmons that he would continue to press for visa reform legislation. In 2003, Mica kept his promise and created visa reform legislation that was "… aimed at closing a loophole in current immigration law and protecting American jobs," as described on his website. The bill has not gained much momentum since its introduction. Mica's website also states, "In 2003 and again in 2004, I have requested that the House Judiciary Committee conduct a full hearing addressing the abuse of the L-1 visa program. Chairman James Sensenbrenner has not responded to my request." Emmons, still upset with Mica, thinks the bill is full of loopholes to protect Siemens. If passed, Mica's bill would make it illegal for corporations to employ third-party firms (such as Tata) to utilize the L-1 visa in order to bring workers into the states. However, American corporations would still be allowed to use the L-1 if they were transferring workers themselves, or through a subsidiary of their company. "Mica's bill is worthless," says Emmons. "The big corporations can still set up shop overseas. That way, they can train and bring over these cheap workers themselves, and remain untouched by the law. There is still zero protection for the American worker. American jobs are no safer than before." Roberts says Emmons is pointing his anger in the wrong direction. "Congressman Mica was not only the first member of Congress to introduce legislation aimed at closing the specific loophole in the L-1, but on June 22, he became the very first co-sponsor to Congressman Henry Hyde's bill [H.R. 4415] that would make it illegal for companies to displace American workers with the L-1." It wasn't good enough for Emmons, who declared his candidacy as a Democrat running against Mica in the 2004 November election. His campaign ended when he was unable to gather neither the $9,000 nor the 4,000 signatures necessary to get his name on the ballot. Mica is running for re-election unopposed. Rep. Rosa DeLauro, D-Conn., has taken an interest in the L-1 visa issue, and has introduced a bill that may have the power to turn things around. H.R. 2702, The L-1 Nonimmigrant Reform Act, would not only require corporations to offer the prevailing wage to its foreign workers, but also cap the number of allowable L-1 visas at 35,000 per year. The bill still seems to be bottled up in committee. Additionally, California producer Greg Spotts is releasing a documentary on Labor Day addressing the controversy. Simply titled American Jobs, the film follows Spotts as he travels the country for five months interviewing victims of outsourcing and insourcing. Spotts says he devoted a full six minutes of commentary to Emmons' and Fluno's unique situation. Spotts plans to release the film in conjunction with a speaking tour, and wants to premiere the movie in cities that were featured in his film – Orlando included. Emmons plans to join Spotts on his tour to spread the word. "My anger is not directed toward the foreign workers themselves, it's directed toward our flawed system," says Emmons. "Every knowledge-based job is in danger, and all the young college graduates need to wake up because corporatism is influencing our government. They took my job and they took my livelihood. You don't do something like this to someone and expect them to turn a blind eye." Texas Ethics Commission reports from Florida’s PBS&J, which is under investigation for alleged campaign contribution irregularities, show the giant engineering consultant gave money to political campaigns of Fort Bend County Commissioners Court members 11 times since 2003. But six of those contributions – which PBS&J claims it made to County Judge Bob Hebert and county commissioners Grady Prestage, Tom Stavinoha and Andy Meyers – don’t show up on the local officials’ campaign contribution reports. Hebert, Stavinoha and Meyers said Thursday they don’t recall receiving the contributions in question. Prestage couldn’t be reached for comment Thursday afternoon. PBS&J, a Miami-based consulting engineer with 3,900 employees in 75 offices nationally, including four in the Houston area, is the subject of a federal grand jury probe into whether it reimbursed employees for numerous campaign contributions, in violation of state and federal law. The company, which has done at least $460,000 in business on Fort Bend County projects over the past three years, filed TEC reports showing it made $6,500 in contributions over the past three years to County Judge Bob Hebert; $4,000 since 2003 to Precinct 3 Commissioner Andy Meyers; $3,000 since 2002 to Precinct 2 Commissioner Grady Prestage; $1,300 since 2004 to Precinct 1 Commissioner Tom Stavinoha; and $250 to Precinct 4 Commissioner James Patterson. But the county officials’ reports reflect less than half the number of contributions PBS&J told the state it made through its Texas political action committee, PBS&J PAC. Hebert reported receiving a $2,500 contribution from PBS&J PAC, in March of 2005. But a $1,500 payment PBS&J reported in April 2004, and a $2,500 contribution the company said it made on March 6, 2006, don’t show up on Hebert’s reports. Hebert said if it turns out local officials indeed did not receive money PBS&J says it contributed, “I’d probably go to John Healey,” the county district attorney, with the information. Meyers reported receiving a $1,000 contribution from PBS&J PAC in March of 2005, but his financial reports don’t include a $2,000 contribution PBS&J says it made on March 6, 2006. Meyers and Patterson both said consulting engineers are required to submit their qualifications to the county engineering department, which then decides whether they’re professionally qualified to work in Fort Bend County. Meyers said he authored a policy in 1997, still in use, by which the engineering department determines which engineering or architectural firm is most qualified for a specific contract. Commissioners thus vote either up or down on the recommended firm, without taking part in the process of who wins the recommendation. According to state law, professional firms such as engineers do not compete based on price, Meyers said. “He made a committment, we assigned him a table, and as of about two months later we never got a check from him,” Stavinoha said. In checking his records further, he said he could find no evidence Graham ever wrote a check, either as an individual or on behalf of PBS&J PAC. However, TEC reports from PBS&J PAC show Stavinoha supposedly received an $800 contribution on March 6, 2006 – the same day on which the company said it contributed to Hebert and Meyers. None of the three commissioners reported receiving such contributions. Hebert said he recalled PBS&J sponsored a table at a fundraiser he held early this year, but he doesn’t know if they paid for the table. “I just assumed they did,” he added. PBS&J’s state reports include a $1,000 contribution it says it made to Prestage’s campaign in April of 2003, and another $1,000 in August of 2005, however, Prestage’s campaign finance reports for those periods don’t reflect receiving the money. Prestage could not be reached for comment. PBS&J records only show one $250 contribution to Patterson, in March of 2005. Patterson’s filings also show that contribution. Glenn D. Graham, the man Stavinoha said “committed” to an $800 contribution, is one of 19 names that appear as contributors to PBS&J PAC, on Texas Ethics Commission reports from 2003 to 2006. Each of the individuals reported making numerous contributions to the PAC, ranging from $25 to $75. Graham could not be reached for comment Thursday afternoon. On Wednesday, the Miami Herald reported that PBS&J has given more than $500,000 in political contributions since 2003, including both Republicans and Democrats holding offices that could influence the kind of government contracts the company often competes for. In South Florida, where it’s headquartered, PBS&J’s contributions were focused on Broward County, the Herald reported. The firm’s political action committee has given to majorities on both the Broward County Commission and the Hollywood City Commission, including Broward Mayor Ben Graber and Hollywood Mayor Mara Giulianti, the newspaper said. The investigation into PBS&J’s campaign contributions came as a result of an earlier investigation – into a $36 million embezzlement scheme allegedly hatched by the company’s chief financial officer, Scott DeLoach, and two subordinates. According to a report in the Engineering News-Record, the company spent much of the past few months repaying 12 to 15 state departments of transportation for reimbursed overhead expenses from 2000 to 2005 that were inflated, as part of the embezzlement scheme. One of those state departments was the Texas Department of Transportation, which suspended PBS&J from bidding for Texas contracts in May. PBS&J, which did $43 million in business in Texas in 2005, agreed to a settlement by which it paid TxDOT $5.3 million. In return, TxDOT dropped all claims against it and, in July, allowed the company to begin competing for contracts again. Because PBS&J was found to be inflating its rate for overhead on state projects, Hebert said he intends to have the county purchasing agent and auditor check to see how the Florida company is being paid for work in Fort Bend County. 1. I respectfully request that EPA and all federal agencies suspend and debar the international architectural, engineering and construction design firm of PBSJ and every single one of its subsidiaries from receiving any more money or contracts, pending an investigation of its actions. 2. There have been felony convictions of two (2) PBSJ CEOs for illegal campaign contributions and other crimes. 3. PBSJ entered into a multi-million dollar False Claims Act settlement with the Department of Justice involving false claims for federal government work. Other investigations continue. 5. I have asked St. Johns County Commission Chairman Ben Rich to kindly ask the Clerk of Courts to conduct an investigation of PBSJ for fraud, waste and abuse, including gathering information from the FBI, U.S. Attorneys and the states of Texas, Georgia and Nevada regarding PBSJ's alleged overbilling. 6. Chairman Rich pulled from the County Commission's consent agenda yesterday a contract for PBSJ. 7. Chairman Rich has requested the County Administrator's office to investigate PBSJ. 8. I request that EPA work with Chairman Rich, the County Administrator, Clerk of Courts, St. Johns River Water Management District, the State of Florida, other states and the Army Corps of Engineers Inspector General to protect our rights. 9. I respectfully request that all EPA officials kindly disclose any agreements, understandings or relationships with PBSJ. Thank you in advance for your zealous actions to protect the public interest from PBSJ, et al. We look forward to hearing from you. 1. I respectfully request that the Army Corps of Engineers and all federal government agencies suspend and debar the international architectural, engineering and construction design firm of PBSJ and every single one of its subsidiaries from receiving any more money or contracts, pending an investigation of its actions. 8. I request that the Army Corps of Engineers work with Chairman Rich, the County Administrator, Clerk of Courts, St. Johns River Water Management District and State of Florida to protect our rights. 9. I respectfully request that all Army Corps of Engineers officials kindly disclose any agreements, understandings or relationships with PBSJ. Thank you for your years of public service working for open government. 1. I respectfully request that the Governor of the State of Florida and all Florida government agencies suspend and debar the international architectural, engineering and construction design firm of PBSJ and every single one of its subsidiaries from receiving any more money or contracts, pending an investigation of its actions. 8. I request that the State of Florida work with Chairman Rich, the County Administrator and the Clerk of Courts to protect our rights. Thank you in advance for your zealous actions to protect the public interest from PBSJ, et al. 1. I respectfully request that the St. Johns River Water Management District suspend and debar the international architectural, engineering and construction design firm of PBSJ and every single one of its subsidiaries from receiving any more SRJWMD money or contracts, pending an investigation of its actions. 8. I request that SJRWMD work with Chairman Rich, the County Administrator and the Clerk of Courts to protect our rights. 9. I respectfully request that SRJWMD board members kindly disclose any agreements, understandings or relationships with PBSJ and kindly return any questionable contributions that may have been received from PBSJ sources in their prior election races for elected office, and that SJRWMD list all former staff persons who have gone to work for PBSJ. At least one PBSJ vice president is a former SJRWMD staffer; PBSJ's modus operandi in the illegal campaign contribution scheme was allegedly to give travel money to vice presidents, who then made illegal campaign contributions. Thank you in advance to your and SJRWMD for your zealous actions to protect the public interest from PBSJ, et al. 1. I respectfully request that you suspend and debar the international architectural, engineering and construction design firm of PBSJ and every single one of its subsidiaries from receiving any more county school board money or contracts, pending an investigation of its actions. 5. I have asked County Commission Chairman Ben Rich to kindly ask the Clerk of Courts to assist your office conduct an investigation of PBSJ for fraud, waste and abuse, including gathering information from the FBI, U.S. Attorneys and the states of Texas, Georgia and Nevada regarding PBSJ's alleged overbilling. 8. I request that the School Board work with Chairman Rich, the County Administrator and the Clerk of Courts to protect our rights. 9. I respectfully request that School Board members kindly disclose and return any questionable contributions that may have been received from PBSJ sources. Is a proposed St. Johns County "starter charter" (a/k/a "stealth" or "vanilla Charter"), a "Trojan Horse?" Do look this "gift horse" in the mouth. Why not the best? Let's appoint a proper Florida County Charter Commission (with no legislators or commissioners), with 11-15 members Ñ independent, diverse, without fear or favor of politicians or special interests. There's a crisis of confidence. People reasonably expect that any county charter must achieve real reform, or else it's not worth passing. We need checks and balances. Let's work together to transform county government as we know it Ñ expecting democracy, protecting liberty, curbing eminent domain, and declaring war on waste, fraud, abuse, misfeasance, malfeasance and nonfeasance. Let's elect our county attorney. Let's have an inspector general, an ombudsman, police review board, creating true "checks and balances" and "separation of powers." Don't settle for empty rhetoric. The draft county charter is written in legalese. Read it for yourself. From this day forward, any charter drafts (and other government documents) need to be written in plain English. A fair charter must guarantee one-person, one-vote, restore seven single-member commission districts and establish nonpartisan elections for all county offices. This Trojan Horse charter is more loony lemon loophole than law, exempting from campaign finance reform, nondiscrimination and other charter provisions the sheriff, clerk of courts, tax collector, property appraiser and supervisor of elections. No person is above the law. Those seeking exemptions must justify them. Any deals must be disclosed. No deal is above discussion. The proposed charter concentrates power in a few hands Ñ five commissioners and five constitutional officers Ñ every single one of whom today is a registered Republican. If the proposed charter is not substantially re-written Ñ if it doesn't accomplish real reform Ñ St. Johns Countians, please reject/defeat it. Be prepared to walk away. Other counties (and our own) have rejected charters in the past. The draft ensconces power in partisan-elected commissioners and in five charter-free constitutional officers. Some want a "starter charter" so "we" can propose a stronger charter later. That's like used car dealers saying, "buy this beauty sitting on four concrete blocks and we'll fix it later." Passing a defective charter is not pragmatism. Who is "we?" There is no principled reason for a "leap of faith" off a cliff. The draft charter is like the Emperor's New Clothes. "We" need unselfish decisions on the charter (rejecting term limits and establishing nonpartisan elections in the spirit of Theodore Roosevelt and the Progressives). U.S. Rep. John Mica helped several counties develop charters before becoming a congressman. Charters can sometimes hurt small town and rural life and further diminish minority rights. We don't need yet another debacle (like Tallahassee's election legislation denying Floridians our National Convention votes). We need open, honest public debate, without intimidation. We don't need commissioners yelling at citizens expressing their opinions about the charter. We need whistleblower protections and a county-wide human rights ordinance and a guarantee of county employee rights to collective bargaining. We must embrace and creatively implement limited government. We must strengthen transparency, public access and government accountability. We don't need big bills for receiving documents we've already paid for, or threats of arrest for attempting to learn about the people's business. We need open records law fee waivers as under the Freedom of Information Act and punishment for officials obstructing records requests. We must enact true campaign finance "reform," conflict of interest disclosure and post-employment restrictions, with disclosure of all investors in limited liability companies (LLCs), including foreign real estate speculators contributing to campaigns and seeking zoning favors. Reject phony "reform" (reducing maximum contributions from $500 to $250, making it tougher for people-powered candidates to raise money from more people in order to campaign against candidates funded by dozens of LLCs at the same speculators' addresses). Our American founders warned us to protect people from government. Always be vigilant. We should adopt a thoughtful progressive, liberty-respecting charter we all will be proud of; reject anything less. St. Johns Countians neither desire nor require any half-baked, half-hearted attempts at passing any Ôole charter just to be passing one. No "vanilla" or "stealth" charter, please. Ed Slavin is a frequent public speaker before local governments and a frequent letter writer to The Record. St. Johns County Commissioners have asked residents many times to submit any ideas or suggestions that should be included in the draft of the proposed Home Rule Charter. On Tuesday they hit the mother lode of suggestions, many of which were so workable that the commission decided to postpone its already advertised Charter ordinance approval date of Oct. 23 and push it into December. County Attorney Patrick McCormack first detailed the few minor changes arising from the first public hearing on the charter two weeks ago. "Most of them are not pertaining to substance; most pertain to clarification," he said. Al Abatiello of St. Johns, candidate for the District 1 commission seat, suggested adding a provision that would require any residential development over 99 units to be approved by county voters. He was supported on that issue by Ken Bryan, candidate for the District 5 seat. Retired St. Augustine legislator Hamilton Upchurch, among others, argued that the charter should be non-partisan. Supporters of the current draft say including that provision kills it in the voting booth, since 65 percent of county voters are Republican who don't want to give up dominance. But some residents believe partisanship has no place in county politics. Upchurch added, "What's different about this charter than the two charters that have already been defeated? And why were the constitutional officers omitted?" Herbie Wiles asked the commission to "shelve this charter" and appoint a charter committee. "I don't know if I'd vote for a charter. But this is one I would not consider," he said. "Give the public a chance to see if they even want a charter. You're trying to make chicken salad with a cottage cheese charter." Ed Slavin of St. Augustine offered a long list of possible charter additions, such as adding sections on county consolidation procedure, making recall easier, forming a police review board and prohibiting eminent domain from being used by a profit-making enterprise, among many others. Roger Van Ghent of St. Augustine wanted stronger protections against discrimination and backed Upchurch on adding a non-partisan provision. "We don't need divisive party politics here as we see at the national level," Van Ghent said. Daniel McDonald of Ponte Vedra Beach said he worked on the 1998 charter commission and with the group that wrote the current charter draft. "Both of those groups overwhelmingly wanted to include non-partisan elections, but we didn't do it for a specific reason," he said. "You'd be changing it from a non-partisan charter to a partisan charter. "(Non-partisan elections) belong on a charter revision by itself." He said 15 of 19 charter counties in Florida left constitutional officers out of their charters. Commission Chairman Ben Rich said he wasn't confident of going forward now that he'd heard all the suggested changes. Vice Chairman Tom Manuel said many important issues had been raised, "some of which should be decided by a vote of the people." McCormack said the commission could adopt an ordinance Nov. 13 but amend it any time before the November 2008 election. Rich said, "I'd like to see something approved prior to Christmas." All government powers are derived from the just consent of the governed who shall always be free to alter or abolish these powers pursuant to this Charter. All powers not expressly granted the county government are reserved to the people. The doctrine of nonresistance to arbitrary power and oppression is expressly rejected as contrary to the genius of a free people. All interpretations of this Charter shall be consistent with the United States and Florida Constitutions and Bill of Rights, the Universal Declaration of Human Rights and the Inter-American Human Rights declaration of the Organization of American States. "Eminent domain may only be used for a public purpose. Eminent domain shall not be sought or granted for profit-making enterprises." "Access to county government bids, contracts, expenditures, proposals, statistics, reports and other information shall be made freely available on the County's interned website. No excessive fees shall be charged. Fee waivers shall be freely given for citizen document requests that will help increase understanding of government operations, as under the federal Freedom of Information Act. No public funds may be spent resisting disclosure of government records where no exemption exists. No 'Strategic Lawsuits Against Public Participation' (SLAPP) actions are authorized and none shall be filed or threatened with government funds. Accurate data on all county government programs and offices shall be kept, including GPS data on county vehicle use. The 'Sullivan Principles' shall be adopted by ordinance. An annual report on transparency shall be prepared, proposing ways to increase transparency and public participation, with consultation from citizens and organizations such as Transparency International." (e) Creating a County Council on Integrity and Efficiency (CCIE) to work with the County Administrator, Constitutional officers, the Ombuds, Inspector General, Police Review Board and Budget Review Board, citizens, professional organizations, educational institutions and other government agencies to analyze data, identify problems and propose solutions to the Charter Board of Commissioners. line 205 insert in lieu of the word "reduce" the word "extirpate"
Line 206 add at end -- "The Charter County government ordinance on False Claims shall contain a 'qui tam' provision allowing relator lawsuits against government contractors and shall be at least as strong as the Florida False Claims Act (governing state agencies) and the Miami-Dade False Claims ordinance. The county shall maintain a list of suspended and debarred county government contractors and shall not contract with any person, firm or organization on any federal or state list of suspended or debarred government contractors." (a) Waiver of Sovereign Immunity. County employees have a fundamental human right to safe, healthy workplaces. The Charter government consents to regulation and fines by the U.S. Occupational Safety and Health Administration and Occupational Safety and Health Review Commission. St. Johns County expressly waives all sovereign immunity for worker safety and health matters, rejecting the 2000 Florida legislature vote exempting government employees from OSHA's protections. (1) Reorganizing county functions to create an Environment, Safety, Health and Archaeological (ESHA) component, to improve and enhance environment, safety, health and archaeological protection. (3) Investigating the flooding, drainage, environmental, farming, infrastructure, economic and overbuilding crises in St. Johns County, supporting enactment of a proposed St. Augustine National Historical Park, National Seashore and National Scenic Coastal Highway Act, farmland protection and making other recommendations for action. (4) Investigating the feasibility and timetable for a "Living Wage" ordinance protecting defining the rights to living wages for county government employees, employees of county government contractors, and employees of county government franchisees. Charter government employees and employees of county government contractors and franchisees, shall have the right to organize, bargain collectively and criticize management and the Charter government. The Charter Board of Commissioners shall enact an implementing ordinance. line 99 strike "five" and insert "seven"
", elected by voters in seven individual districts in nonpartisan elections. :"
on line 116, please strike "five" and insert "seven," please strike "5" and insert "7"
on line 124, delete "five" and insert "seven"
"provided, that no campaign contributions may be accepted from any entity that does not meaningfully disclose and identify all of its U.S. and foreign investors and beneficial owners and identification of all past, present and prospective county government favors sought and granted pursuant to an ordinance to be adopted by the Charter Board of Commissioners." "7. All Constitutional officers shall be selected to four year terms in nonpartisan races commencing in the year 2012." "8. All Constitutional officers shall be susceptible to recall in the same manner as any County Commissioner." "The County Attorney shall be elected by the people in a nonpartisan election for a four year term, commencing with the November, 2010 General Election." line 263 please delete "report to" and insert in lieu "advise"
lines 285 -- please delete "is removed by the board" and insert in lieu thereof: "removed by recall election"
line 289 -- please reword as "6.04 Election of County Attorney"
"be elected in a nonpartisan election open to all voters every four years commencing November 2010." "except as to False Claims, Nondiscrimination, Reforming and Reinventing Government, Campaign Finance and Electoral Reform and Environment, Safety, Health and Archaeological (ESHA) protection." lines 369 and 370 -- please strike "eight percent (8%)" and insert in lieu: "two percent (2%)"
in housing, public accommodations, employment and education through adoption of a strong Human Rights ordinance. Query: how shall they be brought under the Charter? Query: What procedures should exist for studies/proposals? Query: Shall the Charter make it easier to recall an elected official than under current Florida law applicable to Charter counties? 4. Query: Shall the Charter give violations of the Charter and human rights ordinance as an additional basis for recall? I look forward to hearing your thoughts and discussion. FINALLY, the main event. Congress's votes to send President Clinton the Republicans' budget reconciliation bill, with its seven-year balanced budget, tax cut and sharp curbs of Medicare and Medicaid spending, will take a very serious fight beyond side issues. The national debt and partial closing of the Government are hardly trivial, but as political problems they do not approach the one posed by the budget -- just how big a role the Federal Government should have in American life. That is the issue, obscured by childish squabbles over tee times and face time, that must now be solved. For the choice, as Speaker Newt Gingrich contends, may be "the largest domestic decision since 1933," determining whether the central government remains the guarantor of basic standards in areas like health, welfare and the environment, or whether states and individuals can do it better. Both sides underestimated their opposition's determination and climbed out on limbs. Each side's preferred solution, of course, is to push the other off the limb. But, as William Kristol, the conservative strategist, said last week, "I'm not sure either side has that much leverage." That does not stop both sides from predicting victory. "I think the President will come our way," said Tony Blankley, Mr. Gingrich's press secretary. Democrats sound confident that Medicare is so important to voters that sooner or later Republicans will give up their plans to tamper with the program's future. If neither side gives up -- and now that Mr. Clinton is swearing that he will veto the budget, some of the Congressmen who feared his inconstancy are getting weak in the knees -- there will be an impasse that makes this month's fights over debt and spending seem like no more than a morning traffic tie-up. The problem is less the policy chasm between the two sides than the uncompromising political personalities of the 73 House Republican freshmen, and a leadership who that sometimes seem to lead by following them. Except for that signal characteristic of the 104th Congress, which reflects an almost Biblical sense of destiny after 40 years in the political wilderness, there would be ways to bridge the chasm. In another political era, perhaps just last year, it would have been no trick at all to compromise the basic budget disputes between President Clinton and Congress. The Republicans have voted to balance the budget in seven years, with $245 billion in tax cuts. That goal requires taking $270 billion from the growth of Medicare, and biting deeply into Medicaid, education and programs meant to protect the environment. Democrats say those cuts are too deep. But Democrats are increasingly eager to say they want a balanced budget, too. So, what kind of a deal would you make? Thomas S. Foley, whose career as Speaker was ended by the Republican revolution last election day, offered a simple prescription: "Think about the possibility of an eight-year period, without the tax cut." With this approach, each side could claim to have put the good of the country ahead of diehard stubbornness. Each side would have some political cover when spending reductions begin to pinch. But Mr. Foley confesses that he does not know if such an approach is possible with the House's Republican freshman contingent, elected as sworn enemies of the compromise as evil business as usual. Another Washington veteran, former Senator and Treasury secretary Lloyd Bentsen, a Democrat, says compromise cannot be achieved now: "First they have to find that they are not going to have their way on everything. It just doesn't work that way." Things might also be fixed easily with some revisions in the economic assumptions provided by the Congressional Budget Office. Republicans have insisted on using its economic estimates, more conservative than most others, including the Administration's. Because they project less tax revenue, they require deeper spending cuts. A very light finger on the scales, if it put the C.B.O. at the middle of current economic forecasts instead of the bottom, would free up hundreds of billions of estimated dollars. But the C.B.O. has never played that way. One recourse that requires neither compromise nor surrender -- just patience -- was offered from St. Louis by former Senator John C. Danforth. He argued that his fellow Republicans cannot compromise or give up their cause of cutting spending to balance the budget. But he said that if the President remains firm and his vetoes are sustained, they may have to wait until the Presidential election next year to finish that fight. "We could take the high ground," Mr. Danforth said, "and say we are not going to allow the country to be hurt" by Government shutdowns and high-wire management of the national debt. Republicans could then go along with spending and debt measures that will last through the election, and allow the American people to show, he said, "whether they really mean it when they say they want to balance the budget, or to keep on spending." President Clinton seems to like the idea of making the election a referendum. In an interview last week with CBS News, Mr. Clinton said of the budget dispute, "If we take it right into the next election, let the American people decide." If the people want the Republican budget, he said, "they're entitled to another President, and that's the only way they are going to get it." The idea has some appeal to conservatives outside Congress, like Mr. Kristol or Mickey Edwards, the former Republican Congressman from Oklahoma who now teaches at Harvard's Kennedy School of Government. Mr. Edwards thinks the idea might sell, but only if President Clinton understands that Republicans have to have some immediate victory, like Representative Ernest Istook's amendment prohibiting political activity by recipients of Federal grants (a proposal whose foes say is so unconstitutional that it would immediately be enjoined anyway). The Republican leaders "have to be able to show their freshmen members that 'we didn't win it all in one fell swoop, but we're on our way,' " Mr. Edwards said. "Outside of that, I don't think Newt has any flexibility." The player with the least flexibility of all may be Senator Bob Dole of Kansas, the majority leader and the most experienced deal-maker involved. Mr. Dole's hopes for the Presidency require him to court the absolutists in his party. Even so, his once-sharp tongue has been muted, at least by comparison to Mr. Gingrich's. Another essential to agreement -- even if it is only agreeing to disagree -- is a greater level of civility. On Friday night, House members got into a shoving match. Yesterday, the House erupted into partisan shouting after Representative John L. Mica said of Mr. Clinton and his shifting views on budget balancing, "We're here to nail the little bugger down." He was ruled out of order, but the No. 3 Republican leader, Representative Tom DeLay of Texas, pushed through a motion to let him resume speaking. Any sort of agreement will not come easy, though. If both sides agree on a way to commit themselves to balancing the budget, and they may, the arguments over how to balance it will finally begin. And then, if nothing is settled by Christmas, the national debt and the threat of default will take center stage again. No wonder Congress is keeping most of its staff on the payroll as essential. Enabling the likes of St. Augustine City Manager WILLIAM B. HARRISS, tatterdemalion Congressman John Mica's story is the story of our times -- greedy corporations destroying our country and smirking at the rubes who fight our wars and vote them into office. See the outstanding 1998 investigatie article from ORLANDO WEEKLY, below, for a taste of the tawdry career of Rep. John Mica. He's our Congressman (at the moment). He's up for re-election next year. Further below, see his feeble explanation of why he supports offshore oildrilling off Florida's coast (the only Florida Congressman to take such an absurd position (his daughter and brothers are lobbyists) and why he spent your money to fly to Tibet (to sell airplanes). Flummery and dupery, or just right-wing Republican business-as-usual. You decide. John Mica: "I consider myself a pioneer in the cellular business, having helped to build two successful systems"
John Mica is sitting pretty. Re-elected last week as Florida’s 8th District congressman, Mica had campaign money to burn, no opposition from the Democrats and rides into a fourth term with a reputation -- carefully cultivated -- as a tough-talking political reformer. He’s a crowd-pleaser on crime, steering federal money toward Central Florida as a "High Intensity Drug Trafficking Area" and voting to try 13-year-olds as adults. And as the first and only representative of a heavily Republican district drawn in 1991, Mica has taken off the gloves to fight powerful interests such as ... average federal workers, with dramatic hearings on what he regards as wasteful labor-union activities performed on government time. Mica also has been fiercely partisan in his attacks on President Clinton, co-sponsoring an early impeachment resolution and calling the president "the little bugger" from the floor of the House. A member of the House Government Reform and Oversight Committee, Mica attacked the White House over an obscure miniscandal involving Indian tribes in Wisconsin. One tribe reportedly used its casino-generated money to block a nearby tribe’s efforts to open a competing gambling hall. The Interior Department officials who blocked the new casino were accused of taking their marching orders from the White House, which received big campaign contributions from the wealthy tribe. Then the bureaucrats quit their government posts to take lucrative lobbying contracts with the tribe. Mica was incensed. "Under the Ethics in Government Act, what was done by [those bureaucrats] is prohibited except for one loophole," Mica fumed during a hearing on the matter last year. "Do you think that that’s right for folks to step right out of government and then into a position of conflict?" Mica came to Congress on a platform built on such stands, equating his financial security with political independence. "I’ve made a lot of money and I don’t need the salary," he said. Proud of his status as a self-made entrepreneur, Mica would like to privatize as many services as possible, including public education. He would convert foreign aid into aid for U.S. businesses for "export assistance." Last year he put your money where his mouth is by voting for taxpayer-subsidized loans to nations that import U.S. weapons -- but only after taking $14,200 from political-action committees associated with those weapons merchants, according to the Center for Responsive Politics. But while championing welfare for Grumman and Lockheed Martin, Mica’s tightwad side rules his philosophy regarding government aid to poor people. In a 1994 survey on welfare, Mica chose all the most restrictive options regarding welfare reform, endorsing mandatory work and a requirement that teen moms must live with a parent. Then he added: "Six-month maximum on welfare." Mica even endured a moment of infamy in the spring of 1996 when he likened welfare recipients to reptiles. "Do not feed the alligators," he said. "We post these warnings because unnatural feeding and artificial care create dependency." The metaphor was denounced by many Democrats and caused even some Republicans to wince. Yet few could know that at least $2 million of Mica’s own wealth had come from a government giveaway of a public resource. And nobody at the time noted the irony of Mica’s dependence on that taxpayer-sapping bonanza -- which one federal official likened to "one of the biggest welfare programs in the United States." The man who said those words was former Federal Communications Commission chairman Mark S. Fowler, who was in charge of the giveaway. The date was March 30, 1985. Fowler was addressing a Senate subcommittee on communications, trying to get Congress to help him turn off the spigot of public money. It was a frustrating time for Fowler; nothing was done, and the result was a five-year opportunity for a few thousand sharpies in and out of government. Fowler’s welfare program was John Mica’s ticket to easy millions. It was called the cellular telephone service lottery. On announced occasions, beginning in 1984, in a windowless room on the eighth floor of the FCC building, three big air-blown tanks full of pingpong balls were activated as groups of 30 to 50 anxious players looked on. Like Meyer Lansky or a Wisconsin tribe, the federal government was in the gambling business. But players of FCC Cellular Bingo, unlike the naive pigeons of Vegas, placed their bets for free or nearly free. And payoffs ranged from a few million dollars to hundreds of millions. The prize was the right to use the radio spectrum between 800MHz and 920MHz, the frequencies cellular telephones use to communicate with each other and with wire lines. Conservative estimates at the time put the assets’ combined value at $20 billion. The giveaway was supposed to spur competition. AT&T, whose Bell Labs had developed crucial cellular-switching technology two decades earlier, had just been dismantled by the largest antitrust action the U.S. government had ever undertaken. Regulators didn’t want a huge company to dominate the new service. Comparative hearings -- in which FCC bureaucrats weighed the merits of corporate proposals to provide service -- already had delayed widespread cellular service by 10 years. A call for proposals brought an avalanche of 5,000 -- a possible 20-year backlog -- in just a few days. "This was an inefficient system, and it delayed the delivery of new services to the public," remembers David Aylward, formerly an assistant to then-Colorado Sen. Tim Wirth, who chaired the Senate subcommittee on communications. By law the FCC could not sell public assets. A lottery was deemed the only fair thing. To spur competition, the FCC divided the country into 734 regions, the largest 306 being outrageously valuable, city-based "Metropolitan Service Areas" (MSAs) and the remaining 428 deemed "Rural Service Areas" (RSAs), which ranged in value from perhaps $1 million to tens of millions of dollars. Each area or city would get two cellular providers: the local phone company and a newcomer. To discourage speculators, the FCC demanded 500-page applications packed with engineering reports. Applicants also had to submit a letter of credit attesting they had the million dollars it would take to build the system within five years. But specialized "application mills" popped up immediately to do the paperwork for just a few thousand dollars. They knew that the right to use the radio spectrum, if won in the lottery, could be sold quickly to a big company like Southwestern Bell or Western Wireless that would build the actual towers and staff the billing and marketing departments. A lottery application, once created, could be duplicated for as many gamblers as would pay, making application services a profitable business in itself. Commercials appeared on the Financial News Network, urging folks to "roll the dice." Regulators were appalled. The FCC, Federal Trade Commission and the Securities and Exchange Commission stepped in to collar the mountebanks. Journalists reported the scandal; editorialists clucked tongues. As the greed frenzy began, Mica was an administrative assistant to Florida Sen. Paula Hawkins, who sat on the key Senate communications subcommittee. Also working for Hawkins was John Dudinsky; following Hawkins’ defeat in 1986, the two men would find themselves in business together as lobbyists. More important, Mica and Dudinsky also formed a partnership as MD Cellular. It was MD Cellular that -- two years after Mica left Hawkins’ employ -- would put Mica himself into the communications business. John Mica would be a millionaire today even without his cellular profits. But the millions he made in the lottery appear to have been his best return on investment. Mica takes pride in his attention to such things. Mica has been a dedicated public servant, a stalwart for conservative causes, a tireless go-getter and a careful cultivator of his own financial garden for more than 30 years of public life. "He is extremely energetic," says brother Dan, a former Democratic congressman who now heads the National Association of Credit Unions. "He eats breakfast early, works to 8 or 9 p.m., then he’ll go out to get a refrigerator or stove to install in the house, and do the installation before bed." 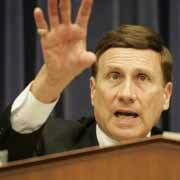 John Mica also is a deliberative and sharp thinker, his mind toned early by the high-school debating society. "For many, many years he held the record for the most points ever accumulated," says his brother, a fellow debating team member. As a student at the University of Florida, John Mica raised the money to rebuild his fraternity house and even sketched the design for it himself, his brother says. He worked as a necktie salesman and dishwasher, and networked Republican circles as his brother moved in Democratic ones, although little separated them politically. Shortly after graduation, John Mica landed a job as executive director of the Palm Beach and Orange County Government Charter Study Commissions, and sold the idea of charter government to the citizens of West Palm Beach. He then turned his charter knowledge into a minor franchise, selling his expertise to Pasco and Manatee counties as well. In 1975 Mica hooked up with Orlando architect Robert Koch and formed MK Development, which 10 years later would build Koch’s office building and a small strip-mall on Temple Trail, eventually earning Mica more than $50,000 a year in rent payments. Beginning with his election to the Florida House of Representatives from Orlando’s District 17 in 1976, Mica’s personal finances improved yearly. In 1977, he and developer Loren H. Roby borrowed about $110,000 to invest in two oceanfront lots on New Smyrna Beach. After the pair built condos on the site, both were on their way to financial security; by June 1980, Mica pegged his net worth at $302,550. When Hawkins was elected to the U.S. Senate during the Reagan landslide of 1980, Mica followed her to Washington. After she lost her bid for re-election in 1986 to Bob Graham, Mica joined his friend Dudinsky as a lobbyist, working for such clients as American Specialty Chemical, Coopers & Lybrand and 3M Corporation. Mica built his five-bedroom, four-bath home on Via Tuscany in Winter Park just a few months after leaving Hawkins’ employ. The house is now assessed at $350,000. Money was always important to John Mica, brother Dan says, and he was ambivalent at best about the value of public service in amassing suitable wealth. "For a while he questioned why I spent so many years in public service," says Dan, who served a decade each as a congressional staffer and as a congressman from Palm Beach County. "He said I might do better financially for my family." Dan says he was surprised in 1991 when John announced he was running for the newly created House seat, until he said he had made his fortune and worried no longer about paying the mortgage. "John wanted to make sure he could be assured for his family," Dan says. Mica lent himself $100,000 to run against Democrat Daniel Webster. Mica positioned himself as a reformer, and depicted Webster as a tool of trial lawyers and labor unions; Webster called Mica "the epitome of the professional politician." Webster did not make an issue of the cell-phone lottery, from which Mica divulged at least a million-dollar profit in financial disclosures filed four months before the election. Mica won with 53 percent of the vote and went on to distinguish himself as a bold entrepreneur, a self-made millionaire who created jobs and opportunity. It was this image Mica put forth when first queried about his cellular deals. "I consider myself a pioneer in the cellular business, having helped to build two successful systems from the ground up, now all part of a national system we take for granted," Mica replied early this year in a letter after Orlando Weekly began inquiring about his finances. Yet a closer look reveals not a "pioneer" but a man whose luck made him rich with no work required. Mica refuses to say exactly how much he invested or earned in cellular, although the financial disclosure forms he filed as a congressman indicate a gross profit of at least $2 million. Because those forms list only income ranges, and because two of the three companies that eventually bought Mica’s phone interests refused to divulge the prices they paid, it’s impossible to be more precise. But precision has not been a hallmark of Mica’s cellular business. In interviews and letters over many months, he gives varied and confusing explanations of his role, at first depicting himself as a wheeler-dealer and, more recently, as a "little appointee." From interviews and available public records, it appears the latter role is most accurate. In fact, so informal was MD Cellular -- Mica’s first phone venture with Dudinsky and Carl Medei of Maitland -- that as far as the state of Florida is concerned, it was not even a legal business entity, having failed to register as required with the state. The oversight was understandable. MD was less a business than a betting pool, Mica’s claims to the contrary. "We were lucky. We were lucky. We were lucky," says Medei. "The FCC does a drawing, and if they pick you, you get money. And if they don’t, you lose." Medei remembers little else about MD Cellular. He can’t say when it was begun -- "All that’s so long ago, I don’t think I even have the paperwork anymore" -- or what work Mica did on its behalf. He would not divulge the amount of his own investment or profit, although he says his was much smaller than that of his partners. Mica says his duties as "managing general partner" included setting up the partnership, providing facilities and expensing the partnership. But he also says that another company, Genesis Management, did all the actual work. And the $90,000 fee he reported in 1991 as the start of his cellular income? That was an accountant’s creation, for tax purposes, Mica says. In fact, Mica now says MD was not a partnership at all. "Similar to thousands of other investor applicants, we retained a packager to prepare legal, engineering and financial applications to file with the FCC," Mica wrote in another letter. "Rather than form a formal partnership or corporation, as investors we signed Service Contract Agreements (forms used by nearly all cellular packagers) provided by Genesis, the Virginia-based cellular packager." Genesis Management founder Wladimir Naleszkiewicz was a Polish émigré who taught economics at Notre Dame before stints with the FCC and the White House office of telecommunications policy under presidents Ford and Carter. He had spent the early 1980s trying to assemble financing for a visionary direct satellite broadcasting system -- much like the one Bill Gates is invested in today. But Genesis, founded in 1986, was a much more modest enterprise, filling out complex FCC forms and grouping investors for the cellular lotteries in a subtle -- and sometimes blatant -- attempt to beat the system. The goal was to enter the lottery process under as many names as possible. FCC rules and federal law forbade the submission of duplicate applications, threatening a $10,000 fine and up to five years in prison for anyone caught doing so. But the FCC didn’t enforce the rule. And Naleszkiewicz was the engineer for several lottery syndicators, according to Mica, cranking out engineering specs for all comers. That gave packagers like Naleszkiewicz tremendous power, controlling which small investors were grouped with others and in some cases directing the whole profitable enterprise. Some application mills would sign up anyone with a pulse, charge them next to nothing to enter, but require that if the applicant won, he or she would hire the packager -- at high cost, with perhaps a bit of equity -- as a consultant to set up the system. The other tactic was to charge unsophisticated investors high fees based on inflated claims about the chances of winning and the value of the asset to be won. By mid-1986 FCC Chairman Fowler threatened to report "charlatan-type applications" to the Justice Department. But in the end the market ruled, and the speculators won. "We have seen that too many applicants have too little intention of actually providing telecommunications services and merely apply in order to sell out later to the highest bidder," Fowler complained in a speech to telecom industry officials. "Try as we might, we have no way to distinguish between authentic service providers and these racehorse Charlies." "We had done some research on packagers," says Mica. "Wladimir had the best reputation." As the first of five RSA lotteries closed, Mica saw that instead of the expected thousands of applicants, only 800 to 1,200 people applied for each license. This created favorable odds for any savvy investor who could enter all of the remaining 340 drawings. Even if the number of applicants doubled -- which it nearly did -- the odds of winning still were better than seven to one. By mid-1988, Mica had entered several hundred lotteries. By 1990 he had won three times. MD Cellular was part of two groups that won RSAs. Those service areas were based in Front Royal, Va.; Aberdeen, S.D. ; and Monroe, La. Within weeks the partnership sold the Virginia RSA, which covered a six-county territory 100 miles from the Washington beltway -- prime territory -- to Southwestern Bell. "I didn’t want to sell Virginia," Mica says. "If we’d gotten stock for this, we’d be so rich I wouldn’t even be here. I’d be out on my yacht somewhere." Mica did get some stock in the next RSA sold, a seven-county area in the northeast corner of Louisiana. The partnership to which MD Cellular belonged was in turn controlled by a larger partnership, Tri-Coastal Cellular; in 1991 Tri-Coastal’s 18 partners formed a shell corporation, Monroe Cellular, to operate a cellular-phone company there. "We built the system in Louisiana," says Jim Arch of Maitland, one of the partners. By "built," Arch doesn’t mean he actually flew down there with a tool belt around his waist and worked the cranes that erected the towers. He hired the people who hired the people who did that. Or rather, like Mica, he invested with people who hired people who hired people who did the work. But Mica’s role was such that, today, he can’t even remember the name of the company, or its owner, that the partnership hired. Eventually New Jersey-based Centennial Cellular came calling, and in 1994 they paid $11.5 million for the property, according to Centennial Comptroller Tom Bucks. Mica’s share of that sale would have been $862,500; he took half of that in Centennial stock, which he eventually sold. The final RSA -- comprising five counties in South Dakota -- was sold in 1995, also for an undisclosed sum, to Western Wireless. Mica reported a gain of between $100,000 and $1 million on that sale, but has said that his 12 percent stake in the Aberdeen property was his least profitable. Mica entered the 1990s more than $1 million ahead in the cellular game. Real losses were almost unthinkable. Instead, the risks were associated with business partners shuffled into the deck by Genesis Management. The riskiest would prove to be the packager himself, Wlad Naleszkiewicz. In January 1989, Naleszkiewicz told 40 clients he had submitted to the FCC their cellular lottery application fees -- $200 each for 1,438 applications -- but he didn’t. "The last ones, he never filed," says Arch. "He put the applications in the garbage." Naleszkiewicz pled guilty in federal court to two counts of mail fraud in connection with this failing. He told the court he kept the $287,600 to save himself embarrassment and "avoid financial difficulties." He and his wife, Nancy, were fined double damages, and Wladimir faced 10 years in prison, though he served just four months’ home detention. Genesis’ was the first and only criminal indictment to arise from cellular licensing application fraud. Genesis filed for bankruptcy protection under Chapter 11 in August 1993, claiming assets of $5,088 and liabilities of $1.4 million. Wladimir Naleszkiewicz died in February 1996. His wife could not be reached for comment. Mica rests much of his credibility as a true cellular player -- and not a passive speculator -- on his choice of Genesis. "The firm had a reputation as the best engineering and packaging company for cellular applications," he wrote. "We researched the firm and found that all of the critical engineering studies required by the FCC for previously awarded MSA Cellular licenses and prepared by Genesis were approved." But Genesis did not exist until 1986, well after the MSA process had gotten under way. And what was Naleszkiewicz doing immediately before then? He was vice president and director of economics for American National -- an application mill the FTC had shut down for fraud in 1985. Mica says he knew nothing about that. Today Mica is out of the phone business. He’s coy about his income from the deals, noting that he put money into the systems he owned for years before deriving any profit. He says the cost of applications was high as well. "Application fees and packaging fees for engineering and legal work were costly," he wrote. "As I recall, just the FCC application for each block exceeded $80,000, not including packager fees for legal, engineering and financial application work." But what did it really cost to get into the sweepstakes? According to FCC records, the early lotteries were free. Later a $200 per application fee was instituted. Syndicators like Naleszkiewicz charged between $3 and $5,000 per application, depending on the worth of the properties being raffled off and what kind of deals they made with clients. Mica’s real costs may never be known. But the aftermath of the Genesis fraud provides a glimpse at the figures. In a letter dated May 15, 1997, Mica wrote to James Hanson, chairman of the House Committee on Standards of Official Conduct, regarding a payment Mica left off his 1996 financial disclosure statement. "In 1996 I received $7,502.23 as a court-ordered restitution (Naleszkiewicz Order of Restitution) from a case in which I and other investors were defrauded," Mica wrote. "Staff of the committee advised that this need not be considered ... for reporting purposes." The restitution was for double the amount Naleszkiewicz collected from each applicant. That puts Mica’s cost for that final lottery, in which 83 RSAs were raffled, at $3,751.12. Multiplied by four application blocks, that represents an initial investment of less than $15,000 to make his first cellular million (or two). Such speculation annoys John Mica, who doesn’t like to talk about his money. Although he once pegged his net worth at $6 million and equated his financial independence with political independence, Mica is reticent about the details. "Someone might read that [I’m rich] and try to push down my door," he says. So don’t ask him what he’s worth now. He’ll say only that it’s less than a few years ago. And don’t ask him to say just how much he invested, and earned, in the cellular-phone business. He says he just doesn’t know. "NO ADMINISTRATION LEFT WITHOUT CORRUPTION? MAYOR JOSEPH LEROY BOLES, JR.